Both will serve for you right, however having a responsive theme is the best option since it requires less additional configuration. But sometimes your non-responsive theme is just too good to replace. That’s why there are several mobile themes that come in the form of a WordPress plugins. They will allow you to pass the mobile-friendly rules and keep your current theme. 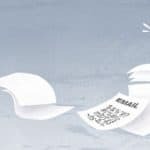 The disadvantage of such choice is that you may need to configure the mobile-theme additionally and also it may differ in terms of design and branding from your non-responsive theme. 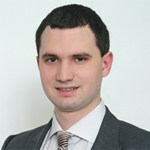 But if your target group of visitors are not using mobile devices to browse the web, i.e. you don’t consider mobile traffic as your main acquisition traffic source then a mobile theme with a suitable design will suit you completely. It will allow you to continue to target your main traffic sources and also to be present on mobile as well. 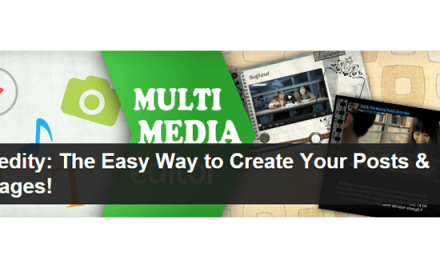 In this post I will make a review of one of the most popular, free and easy to use WordPress mobile themes – WPtouch Mobile Plugin. Well, the short answer is – everything mentioned already above. WPtouch Mobile Plugin will allow you to keep your non-responsive theme while adding an elegant mobile one that will be displayed only on mobile devices. 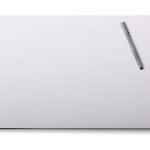 It is extremely simple, yet stylish and also 100% easy to use. WPtouch Mobile Plugin is fast and reliable and will allow your mobile visitors to browse your website without any concern. The plugin makes sure that your WordPress website will pass the mobile-friendly test. According to the wordpress.org page of WPtouch, it is actually recommended by Google. This plugin will provide a fully functional mobile suite for every WordPress website! 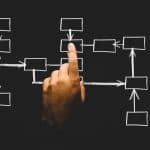 You will keep your SEO rankings (and probably increase them if you keep creating awesome and unique content) and you will also gain a great amount of mobile traffic as well. OK, I’m convinced! How to use WPtouch Mobile Plugin? Once again everything begins by installing, activating and configuring the plugin. The configuration options are available as a stand-alone menu item in your WordPress admin panel menu (the Dashboard). 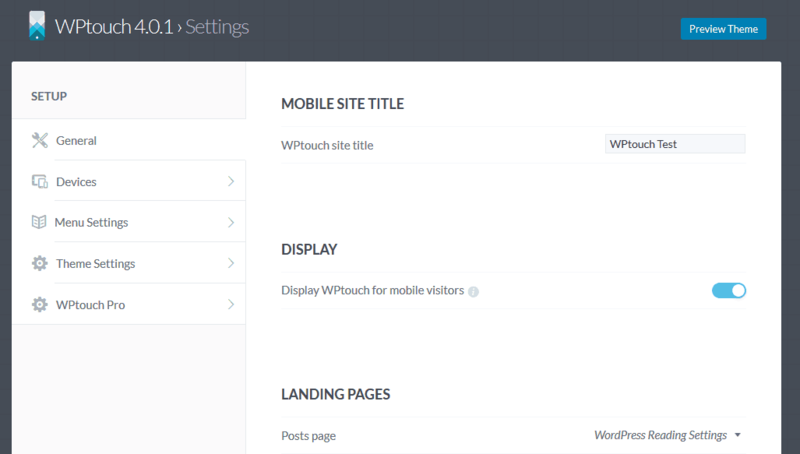 Clicking on it will allow you to adjust WPtouch Mobile Plugin to your specific needs. Let’s start with the General tab. Here you can enter the mobile site title – ideally you will keep the title you have entered while installing and configuring WordPress. 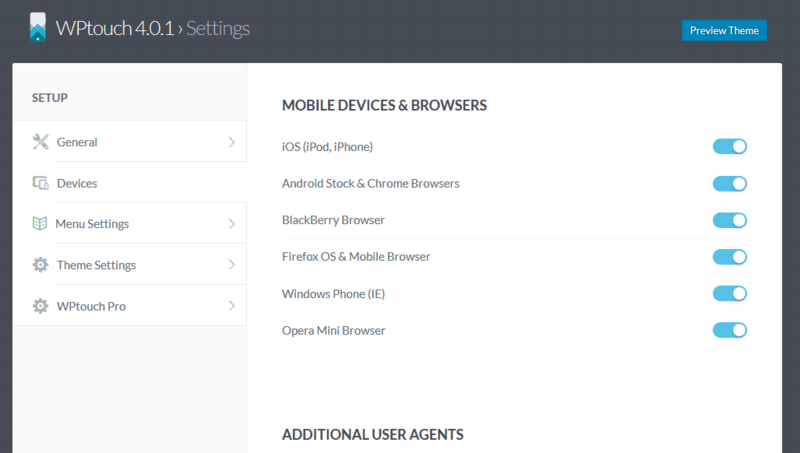 Then you will be able to choose whether or not to enable or disable the theme for mobile visitors. This is handy since you will be able to configure WPtouch Mobile Plugin without worries that your visitors will see a broken mobile theme that is in a process of configuration. Once you are done you need to enable the plugin so that it can be used properly. As you know each contemporary mobile device can zoom in or out while browsing. In a fully optimized for mobile usage website this option is not needed as the text will adapt to the screen size of the devise and thus it will be 100% readable. However if you feel that your visitors might need to zoom while browsing your mobile theme, WPtouch Mobile Plugin provides you with an option in the General tab that will allow you to turn on this functionality. There are two more options – one is to choose whether to support WPtouch Mobile Plugin by adding a link in the mobile theme’s footer. The other is the language of the theme and it admin panel. You can allow the plugin to auto-detect this option or to choose a specific language. You can also type in additional user agents and add them to this list. 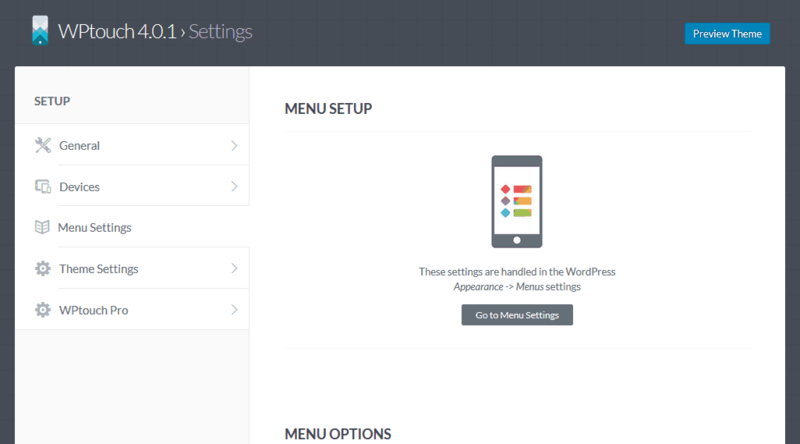 In the Menu Settings tab you will be asked to configure your WordPress menus first and then choose to configure whether the parent items should be displayed as links (or not) and also whether to use menu icons. If the latter is enabled you will be presented with a list of different icon sets and you can choose which one to install and use for your mobile view. You can also upload and use custom icons if you want. In the Theme Settings tab you can upload a header image. You can also add search in the header and then you can adjust the mobile theme’s colors – background, header and menu, links, post/page headers. You can also adjust the typography options by enabling a Google font pairing designed for this wonderful theme. 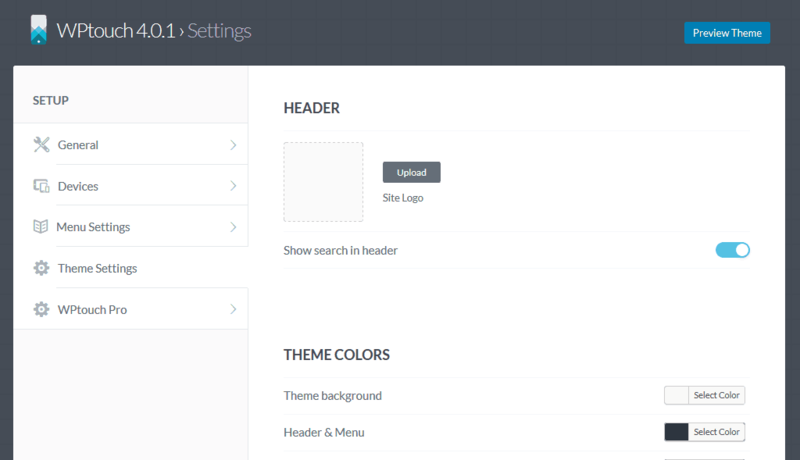 In the Theme Settings tab you can also configure the featured slider and what posts to display in it. This is awesome since most modern websites include sliders and here you are actually presented with an fully operational solution for your mobile view. You can also configure your WordPres blog options and enable social sharing links. The latter can be configured in terms of location and color scheme. Then you are presented with an option to enter your social media profiles and display them in the mobile theme. Finally you can configure the theme’s footer and add custom CSS if needed. 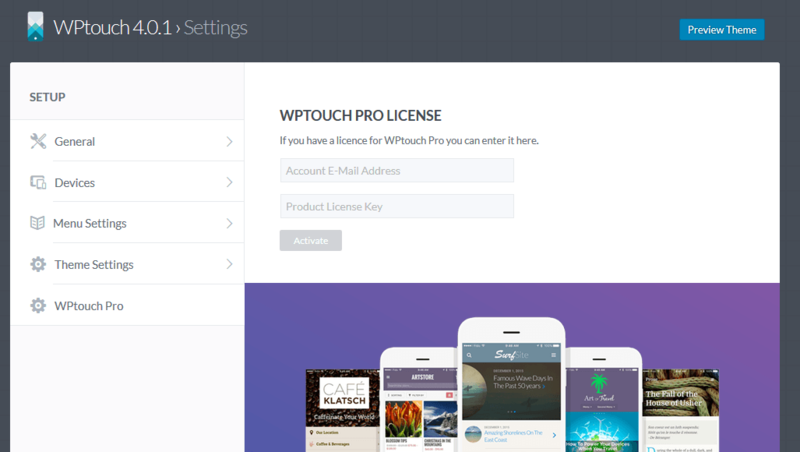 You can also activate your WPTouch Pro version by entering you account e-mail address and the product license key and then click on the “Activate” button. In the beginning of the WPtouch Mobile Plugin’s options there is a button called “Preview Theme”. By clicking it you will find out how your website will look like on mobile. In the end of the options panel there is another button called “Reset Settings” that will restore everything to its default state. So there you have it, friends! 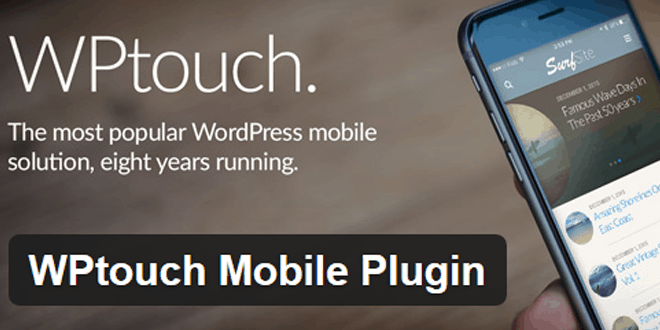 WPtouch Mobile Plugin provides a fully functional mobile suite for your non-responsive WordPress website. Would you use it? Share your thoughts, questions or any feedback in the comments below.